please, activate it if you want to take a look around. 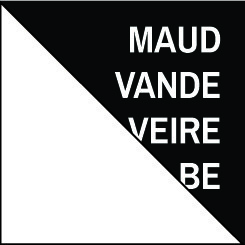 was founded by Maud Vande Veire in 2009. It functions as a platform for self-publishing. From Me To You Publications is the main publishing activity of Maud Vande Veire. This collection of self-published books by diverse artists reflects very personal interests, void of any aesthetic or discursive restrictions. The catalogue also includes titles that are the result of collaborative projects. produces and distributes editions of individual and collaborative works of art. Analogous to Other Publications, From Me To You Space offers a platform for a wide range of projects and events selected on the basis of broad personal interests rather than a well-defined framework. Design by STTADA, developed by POSTCOM. During the same weekend, at the same location* there’s also Zine Happening V by Les VoiZines taking place. What is the future of publishing in the digital age? What can publishing seen as an artistic practice entail? How do artists self-organise themselves? These are some of the questions addressed through the first edition of the annual fair organised by KRIEG, Hasselt in collaboration with B32, Maastricht, The School, Hasselt and CIAP Kunstverein, Hasselt. On the 9th of May, this event will transform the building of CIAP into a multiverse where different material, digital, and performative approaches to self-publishing overlap, converge, or collide. FAIRSHARE invites different artists to present their books, zines, and prints, along with other experimental formats of printed matter. To traverse disciplinary borders and offer a broader perspective on self-publishing, it also features a selection of records, bootlegs, and other miscellaneous editions. In addition, some artists will perform their work in the space during the public programme (to be announced soon). FAIRSHARE presents an opportunity for an immediate encounter between the artists and their audiences, for a direct exchange of experiences, and last but not least for unbridled transactions (the works acquired during FAIRSHARE come straight from the artists). VOLUMES is a non-profit organisation and collective which was created in Zürich in 2013 to support the local and international DIY-facet of art publishing and introduce it to a larger audience in Switzerland. Operating in various locations, the organisation’s main event is an eponymous book fair which takes place annually in Zürich at the end of November. The fair showcases the production of local and international independent publishers as well as self-editing artists who use small means of production. Exploring the creativity gravitating around the practices of independent art publishing, the event also offers to the visitor a series of experiences such as performances, workshops, talks, projections and book exhibitions. The wooden parts which constitute WOOD SCREWS AND FRILLS stem from further reflection on modular systems and their reductive spirit that aims at the highest employability with a minimum number of parts. Observing these principles of modularity and grid in relation to the designs and uses they produce, we learned that just like modularity lead us to the idea of efficiency, the grid drives us to reflect its uniform, repetitive and practical nature. This awareness incited us to create parts that have a playful potential, unsystematic patterns and sensory value. Produced by woodturning, the parts reflect the variability of shapes and typology of daily object generated by this technique. The ‘home of the future’ has long intrigued designers and popular culture alike. Immerse yourself in a series of dreamlike passages and rooms exploring yesterday’s visions of the future, as avant-garde speculations are displayed alongside contemporary objects and new commissions. Discover more than 200 objects and experiences to trace the key social and technological aspirations that have driven change in the home. Historical notions of the mechanised home and the compact home are displayed alongside contemporary phenomena such as connected devices and the sharing economy. In 2018 the Antwerp Academy Art Book Fair celebrates its fifth anniversary! This art book fair has become the largest of its kind in the Benelux. More than 120 exhibitors from home and abroad present the best in the field of art books and artists’ publications from the 20th and 21st century. They do this in the atmospheric galleries and corridors of the Royal Academy of Fine Arts Antwerp. For this fifth edition, the sections PAST (with modern antiquarian material) and PRESENT (with contemporary publishers) will be supplemented with a third: FUTURE. This section provides a platform for the printed output of Belgian higher art education, with a focus on research publications. Together, the three sections offer a unique insight into the rich tradition and bright future of avant-garde and artistic print. In short, there will be more than enough to experience and explore to spend a day at this unique art book fair. WIELS organizes the 4th edition of the WIELS Art Book Fair presenting artists, publishers & collectors who offer art books, artists’ books, catalogues, periodicals & other printed matter to the public. The first weekend of September, artists’ association NICC and studio organization Studio Start ‘OPEN STUDIO’S 2018, Antwerp, Made by artists’, present the fourth edition of the professional studio route, which draws attention to the presence of visual artists and creative entrepreneurs in the city. “Stop Growth!” begins by presenting several critical works by artists who point out, often humorously, the failings of the dominant system to which they nevertheless belong. Six lines of reflection then propose alternatives for more sustainable design: deliberate simplicity, recycling, local production, low-tech, fighting against programmed obsolescence and the arrival of new economic models. Whilst no approach is perfect or satisfactory, each one has the merit of raising awareness and showing that it is possible to think about design in another way. Peter Aers, Melissa Mabesoone, Dirk Zoete, Kris Van Oudenhove and Robbert&Frank Frank&Robbert organize an Open Studio Weekend. Every artist invites a ‘plus one’. Dirk Zoete invited From Me To You Publications to be present with a book stand. From Me To You Publications and Other Publications will present two new publications at the Ghent Art Book Fair. In the rough-and-tumble docks of Ghent, the fair will showcase contemporary art books by a fine selection of national & international independent publishers. Besides manifold book launches and signings, the side program will include artists’ performances and exhibitions. but also to notions of image sequences, reversal (printing), the flipbook, as well as to the use of text and image in both books and video works. In short, the exhibition is an attempt to show these media together, emphasizing the use of narrative strategies and image construction as extensions of each other. For this exhibition Maud Vande Veire and From Me To You Publications show a video work and a selection of artist books. From Me To You will present a fine selection of books at the Building Friendship Fair : The Frameworkers (FMTY003), Hand moves orange orange light falls falls on hands (FMTY005), What if it is all true? (FMTY006), Masks: Dirk Zoete (OTHER003), We are the artists: Roeland Zijlstra & Marc Nagtzaam (OTHER 004). The Royal Academy of Fine Arts Antwerp will open its doors to the 4th edition of the annual Antwerp Academy Art Book Fair. This fair has become a must for lovers of avant-garde material, artist publications, exhibition catalogues, artist books, magazines and other art related printed matter. The fourth edition will have some new profiling: contemporary publishers and artists will have its ‘core’ (PRESENT) at the centrally situated ‘Wintertuin’. It will also be the venue for artistic interventions and performances. This will be curated by Katrin Kamrau and Welmer Keesmaat. WIELS organizes for the third time in September the WIELS Art Book Fair presenting over 50 artists, publishers & collectors who offer art books, artists’ books, photo books, catalogues, periodicals & other printed matter to the public. On Saturday and Sunday, a complementary programme of presentations, lectures and other related events will be presented. The result of a Summer residency at the Vorwerk-Stift Künstlerhaus, Hamburg, “Reading on the Ceiling” gathers a group show, an evolutive library and a radio broadcast. On this occasion, the Vorwerk-Stift’s gallery and artists’ house garden will be a site for visual, spatial, sound and editorial experimentations, a dialogue between various practices coming together for the duration of the event. In the spirit of fruitful exchanges, the reading room, exhibition space and sound space are cohabitating, each one offering fresh material to the others, through a process of constant circulation between each of these sources for reflection. The Cologne Art Book Fair (TCABF) was initiated in 2015 by André Sauer, Verena Maas und (Tim) providing a new and invaluable platform for friends, collectors, and makers of artists’ books, fanzines, limited editions and unique prints. will present its latest artist book HAND MOVES ORANGE ORANGE LIGHT FALLS FALLS ON HANDS at Miss Read. The Berlin Art Book Fair brings together a wide selection of 200+ of the most interesting artists/authors, artist periodicals and art publishers and is accompanied by a series of lectures, discussions, book launches and workshops exploring the boundaries of contemporary publishing and the possibilities of the book. will be present at the annual GHENT ART BOOK FAIR organized by Platform voor actuele kunst and RIOT at 019 Ghent, DOK-NOORD 5L, 9000 Ghent. The new publication HAND MOVES ORANGE ORANGE LIGHT FALLS FALLS ON HANDS will be at display and for sale. De tentoonstelling Copy Construct vertrekt vanuit verschillende kunstenaarspraktijken en kunstwerken die gebaseerd zijn op ‘reproductie’ of ‘kopie’. De geselecteerde werken houden rechtstreeks verband met de notie van drukwerk en/of kunstenaarsboeken. Dat impliceert dat verschillende artistieke media zoals fotografie, video, schilderkunst, tekenen en architectuur zich kunnen manifesteren via grafische problematieken en hun betekenissen. Samen met de werken van de kunstenaars worden kunstenaarsboeken uit de collectie van KASK (School of Arts, Gent) getoond, maar ook uit diverse privécollecties van België en Engeland. De tentoonstellingsarchitectuur is ontworpen door Kris Kimpe & Koenraad Dedobbeleer. De tentoonstelling gaat vergezeld van een publicatie, vormgegeven door Joris Dockx, met een bibliografie van de tentoongestelde boeken, verschillende bijdragen van de kunstenaars, een interview met een boekenverzamelaar, etc. The Royal Academy of Fine Arts Antwerp organizes its third art book fair and puts the exceptional Lange Zaal at the disposal of antiquarians, artists, publishers & collectors who want to offer art books, artist’s books, photobooks, catalogues, periodicals & other artistic printed matter for sale. The fair focuses on antiquarian art books as well as contemporary artist’s publications. During BORG, a biennial event for contemporary art in Borgerhout, Amina Saâdi will give a roundtable presentation of her masterproject Versailles City. Amina Saadi (BE) recently graduated in graphic design from the School of Arts (Ghent, BE). will be present at the WIELS Art Book Fair from 9 until 11 September. On this annual fair artists, publishers and collectors offer art books, artists’ books, photo books, catalogues, periodicals and other printed matter on display and sale to the public. For BORG 2016, From Me To You shows From Me To You Space in its current unfinished state as a place to present ideas, sketches and associations on FMTYS’s future destination and renovation. We like to take advantage of the BORG event, with its focus on gentrification, to engage in a dialogue with the neighbourhood and the public and to draw inspiration for the further development of the project space. From Me To You Publications will be present at the GHENT ART BOOK FAIR with two new publications: GO TO THE FOUNTAIN (FMTY 004) and WHAT IF IT IS ALL TRUE? (FMTY 005). In the rough-and-tumble docks of Ghent the fair will showcase contemporary art books by more than 45 (inter)national independent publishers. Besides manifold book launches and signings, this year the side program will include international publishers’ and designers’ lectures, artists’ performances, exhibitions and a little Kids Corner for the younger art publishing aficionados. The Royal Academy of Fine Arts Antwerp organizes its second art book fair and puts the exceptional Lange Zaal at the disposal of antiquarians, artists, publishers & collectors who want to offer art books, artist’s books, photobooks, catalogues, periodicals & other artistic printed matter for sale. The fair focuses on antiquarian art books as well as contemporary artist’s publications. Hosting over 35 (inter)national publishers, G.A.B.F. continues in the tradition of BE-PART’s annual book fair Waregem. Transplanted to the rough-and-tumble docks of Ghent, the fair will showcase contemporary art books by independent publishers. The London Art Book Fair (26-28 September 2014) celebrates the best of international contemporary art publishing. Hosted by the Whitechapel Gallery, this free fair celebrates the best of international contemporary art publishing. Browse artists’ books, rare art publications and catalogues from a range of 95 independent publishers and enjoy a programme of talks, workshops and book signings. For the occasion of the 25th edition, Chaumont Design Graphique, prepares for the second time BOOK ROOM, a book fair that takes place 2 days from May 24 at 10am, till May 25 at 3pm. Designers and independent publishers present their publications at the Gymnase du Réseau Canopé Haute-Marine (ancien CDDP). This year BOOK ROOM presents 20 publishers. Everybody is welcome at the third edition of the annual artist book fair from May 23-24. BE PART organizes next to the artist book fair lectures, book presentations and a small exhibition of Pieterjan Ginkels. On Friday evening the fair starts at 6pm. At 7pm there are some lectures about artist books and the exhibition, followed by a reception. On Saturday the fair starts at 10pm. You can buy books at the fair, there will be talks in the garden and there will be a fair trade bar. At 6pm the doors close. is present with the most of its publications at the TRAFFIC library/bookshop at the TRAFFIC event. TRAFFIC is a combination of exhibitions and ventures initiated by Lokaal 01 with the aim to generate a new cross European dynamic Contemporary Art. TRAFFIC #1 is the starting event at one of the most striking transport hubs in Europe, the Central Station of Antwerp. 7 colleagues and art initiatives are invited to use one of the former diamond stores as a temporary exhibition space. will present it’s new website designed by STTADA on the PA/PER VIEW book fair in WIELS. Together with the From Me To You website, a website with the personal work of Maud Vande Veire will be introduced. On Saturday February 1st from 2 to 7PM, Frans Masereel Centrum welcomes you for the annual PRINT ART FAIR. Publishing houses Art Paper Editions, CNEAI (FR), Für dich Verlag, From Me To You Publications, Gagarin, Keymouse, Knust/Extrapool(NL), Komplot, MER Paper Kunsthalle, More Publishers, Onomatopee (NL), Printroom (NL), Voorkamer, malenkinet andThéophile’s Papers are also represented and sell their publications. Dans Dans, the – soon legendary – band with Bert ‘Flying Horseman’ Dockx on guitar, Steven Cassiers (Dez Mona) on drums and Frederic Jacques (Lyenn, Mark Lanegan Band) on bass will close the day with a concert at 7PM. Local beers and other goodies will be provided by the Kastelse Biervereniging. This event coincides with the opening of the E IL TOPO expo. Read more about it here. MISS READ 2013 opens on the 19th of September and brings together now for the fifth time the most important protagonists of art book publishing. In addition to some 100 international exhibitors, a series of talks, panel discussions, and presentations will explore the cutting edge of art publishing today. MISS READ 2013 will be hosted by abc – art berlin contemporary, after taking place at KW Institute for Contemporary Art for the previous three years. Books being a great medium to embody and disseminate ideas, artists use the book form to elaborate visual stories, generate archives, depict collections, present research results, or even practice book piracy. When artists, authors, and designers collaborate on production, the complex books that often result enable fresh perspectives. At best, the artist book is an artwork in its own right. MISS READ:The Berlin Art Book Fair is conceived and organized by argobooks, Michalis Pichler and KW Institute for Contemporary Art. invites you to the ARIST’S BOOK FAIR at BE PART in Waregem, Belgium. The film HET BEZOEK — THE VISIT (Other 002) will be shown during the event and will be on sale together with the accompanying publication (and all other publications) at the From Me To You Publication stand. invites you to the art book fair PA/PER VIEW at Wiels in Brussels, Belgium. The new publication HET BEZOEK — THE VISIT (Other 002) will be on display and for sale at the From Me To You Publications stand. invites you to “Beurs van Kleine Uitgevers” (Small Publishers Fair) in Paradiso, Amsterdam (The Netherlands). invites you to the publishing fair ABOUT at ‘The Joy of Graphic Design’, the 1st international Graphic Design Festival in Hamburg. KALEID editions selected one hundred books by forty European based artists for one day in London. A curated exhibition and book fair showcases the best artist’ books to an international audience, to attract private and public special collections and establish a networking event for creative practitioners. invites you to the BookTalk on 13 May at 3pm. The book SELF-REBUSES (From Me To You 002) was selected for BookShowBookShop, a group exhibition about Belgian artist books. All From Me To You books will be available at the bookshop and the book fair. invites you to the art book fair PA/PER VIEW at Wiels in Brussels, Belgium. invites you to the exhibition Rope Drawings: Diane Steverlynck & workmates. invites you to the art book fair PA/PER VIEW at Onomatopee in Eindhoven. 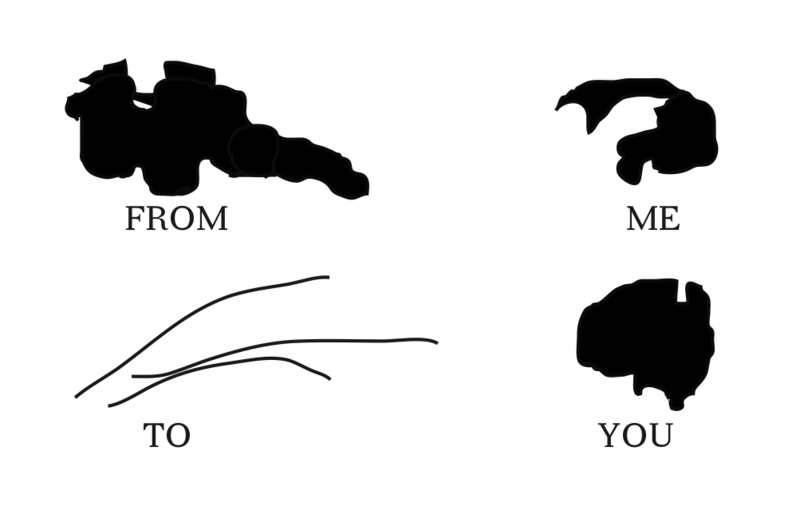 invites you to book presentations of SELF-REBUSES (From Me To You 002) and METAMORFOLOGICUM (Other 001). invites you to a talk and book presentations of SELF-REBUSES (From Me To You 002) and THUISWERK (From Me To You 001) at Printroom, Rotterdam. invites you to the artist book fair PA/PER VIEW at WIELS in Brussels, Belgium. You can find the book SELF-REBUSES (From Me To You 002) at the MER. Paperkunsthalle stand. Presentation of the artist book THUISWERK (From Me to You 001) by Maud Vande Veire at the exhibition ‘Morrens & De Boe Productions PRESENT VOORKAMER at Les Brasseurs’ in Liège, Belgium. invites you to the artbook fair PA/PER VIEW at Wiels in Brussels, Belgium. You can find the book THUISWERK (From Me to You 001) at the MER. Paperkunsthalle stand.